There is an event happening in southern Alberta this February 11, that is more anticipated than the current blast of snow we’re receiving. With fast ponies, plus skiers or snowboarders looking for their next thrill, Skijordue 2017 promises to be the not-be-missed extreme sporting event of the year! Held at the Calgary Polo Club and in support of the Prairie Sky Equine Assisted Therapy Association, Skijordue will feature sprint and circuit races, plus a long jump. Oh and there will be jaw-dropping trick riding stunts performed by Alanna Nolan and Western Horse Review’s own Sally Bishop! Gates open at 10:30am. Races start at 11:00am sharp. Flaunt your fanciest furs & glammest glasses to win the most Stylish Spectator prize package from uber-chic modern western boutique Cody & Sioux! Inside the Calgary Polo Club Cantina there will be a patio and heaters, bonfires, a Race Commentator, DJ and Cheese Fondue, Bratwurst & Beverage concession (*cash only*). PLUS! Freestyle ski/board exhibitions. Your $5, (cash only please), grants you entry plus a bunch of door prize draws throughout the day, so keep your ticket close & your ears open! DJ G will be spinning mad techno yodelling mixes to get the patio dance floor bumpin’. This is set to be the most exciting snow-equine-fromage event of the season! IT’S SNOWING, SO COME CHECK IT OUT! *FAAAAST horses & ninja skiers from far & wide. 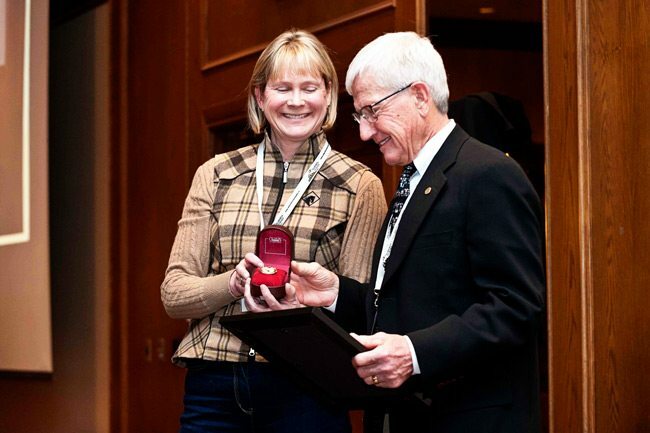 *Rad video coverage from Atomic10 Inc.
On January 10, 2015, at the 33rd annual Horse Breeders and Owners Conference, the Horse Industry Association of Alberta (HIAA) proudly presented the Distinguished Service Award to Dr. Wayne Burwash in recognition of his lasting influence and contributions to the equine industry in the province. Along with his clinical duties at the practice, he served as a mentor for other veterinarians including Dr. Claude Piche, who is now a leading diabetes researcher in humans and Dr. Gayle Trotter, who was the head of surgery at Colorado State University. Since 1980, Dr. Burwash has been the President Veterinary Commission of all international competitions at Spruce Meadows. His success as a veterinarian has led to accolades such as being named Veterinarian of the Year by the Alberta Veterinary Medical Association in 2000 and the Communicators Award in 2004. 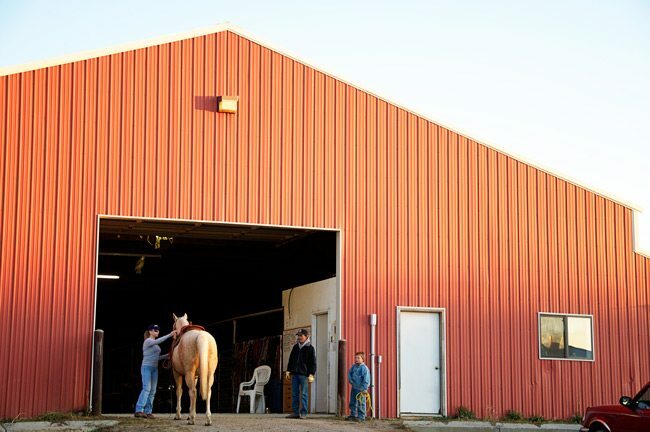 Burwash Equine Services have been a part of the Distributed Veterinary Learning Community with the University of Calgary, Faculty of Veterinary Medicine since its inception. However, his leadership in the Alberta horse industry is not limited to the veterinary profession. Dr. Burwash was a founder of the Alberta Quarter Horse Breeders Group, helping to establish quality horse sales locally as well as internationally by marketing Alberta-bred horses to Europe. 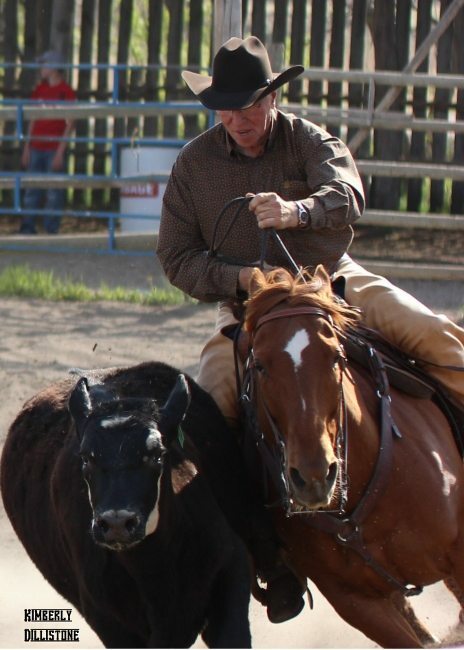 As a producer of American Quarter Horses for over four decades, he has been a leading breeder for the Alberta Horse Improvement Program, breeding champions such as Kilomax, Lopin Foran Invite, and Soo Good. 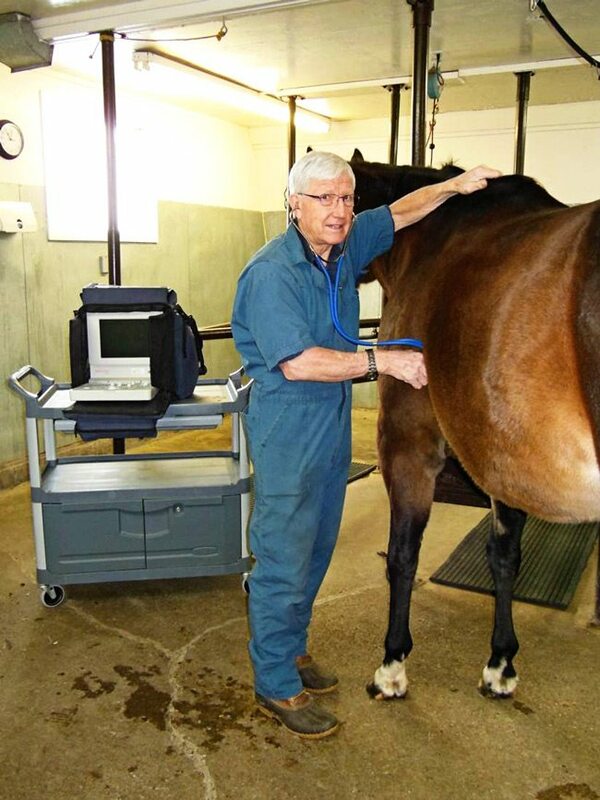 Dr. Burwash has served on the executive and on numerous committees, within leading organizations such as the AQHA, ABVMA, Equine Canada, FEI, AAEP, and at the local equine colleges. He has demonstrated exemplary leadership in equine welfare, breed improvement, and research. The first Alberta Horse Industry Distinguished Service Award was presented at the 2000 Horse Breeders and Owners Conference to Bill Collins. Since then the outstanding recipients have included: 2001 – Marg and Ron Southern; 2002 – Hans Hansma; 2003 – Joe Selinger; 2004 – Bruce Roy; 2005 – Dave Robson; 2006 – Dr. David Reid; 2007 – John Scott; 2008 – Doug Milligan; and in 2009 – Eldon Bienert and Peggy McDonald. Nominations are accepted annually and given on merit of the nominations; candidates are evaluated based on significance of accomplishments, public benefit, industry credibility, and potential for continued contributions. The award is be presented to the nominee that has had the greatest impact on the growth and development of the horse industry in Alberta in one or more of the following areas: breeding, manufacturing, facilities, organization, education, auction sales, export sales, training people and horses, or communication. Sportsmanship Awards were handed out to Tianna Gallerneault and Alivia Boxall. Congratulations to all of those winners. 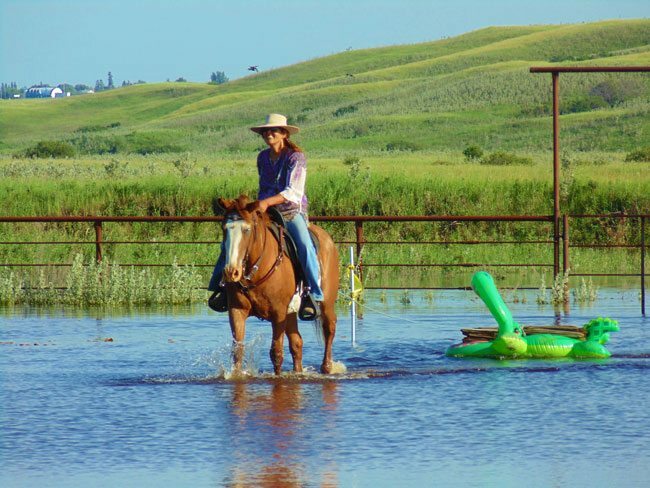 The SPHC played host to other events of the summer, including, the 3rd Annual Trail Ride and Trail Challenge which was held at Trail’s End Guest Ranch. Despite the rain and flooding the event was a success. 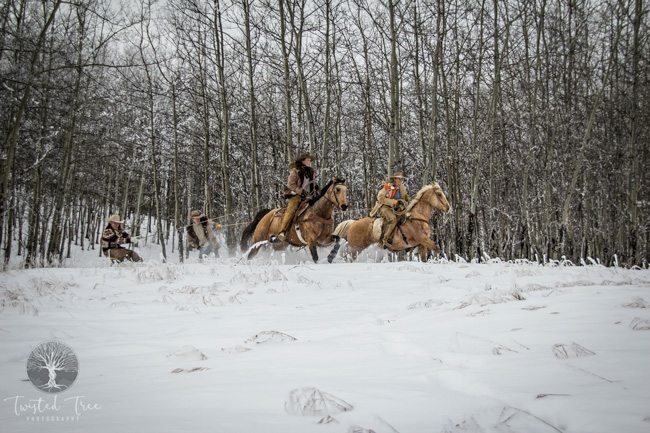 Events included a trail ride through the Arm River Valley, a youth division trail challenge, and a battle for the saddle class. Sunday events included: Rookie, APHA JR. and Sr, Horse, and competition for the Open ladies and mens divisions. Congratulations to the winners. 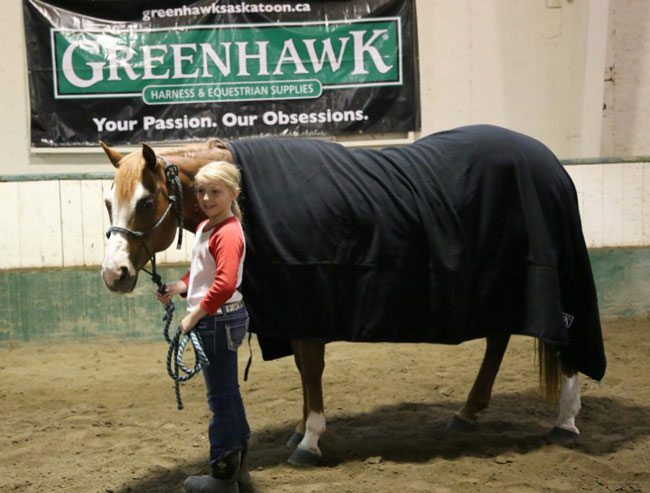 The Saskatchewan Paint Horse Club’s final event of the year is the Harvest of Colours Show. This show is a 2 judge SPHA show and is combined with a single judge AQHA Novice and Open show. This fun event will take place August 30-31 at Prairieland Park, Saskatchewan. 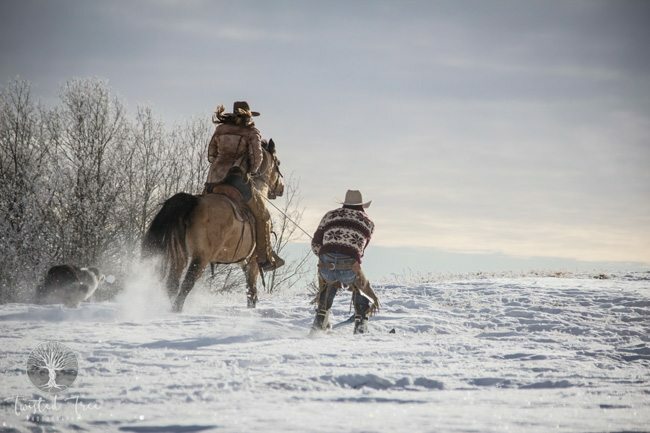 The Alberta Stables Initiative (ASI) recently made the announcement that the group is converting from an initiative to an official association for stables. The association of stables will address the many economic and demographic challenges that stable operators face in Alberta. The ASI began in 2009 with the goal of developing professional association for stables. 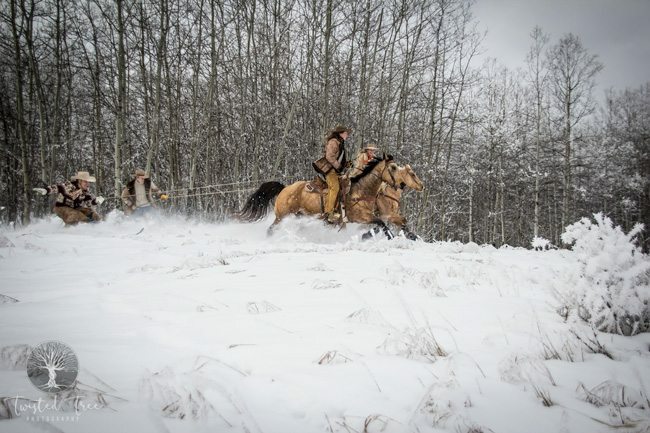 The initiative itself was a collaborative project among the Horse Industry Association of Alberta (HIAA), the Alberta Equestrian Federation (AEF), and the horse industry section of Alberta Agriculture and Rural Development (AARD). “This association will enable stable owners and operators with the opportunity to work together to share the operational strategies, processes, policies, and to speak with a unified voice to municipal and provincial authorities on issues involving the stable industry,” says current interim President, Gary Millar. The inaugural meeting of the Alberta Stables Association to elect the new board of directors will take place in the Lookout Room at Westerner Park in Red Deer on April 27, 2014 at 1:30 p.m. during The Mane Event. Nomination forms for the prospective board of directors are available for download at the ASI website, www.findalbertastables.ca. A cooperation agreement has been signed formalizing the Fédération Equestre Internationale’s (FEI) relationship with the National Reining Horse Association (NRHA) and the American Quarter Horse Association (AQHA), which has been in place since Reining became a FEI discipline in 2002. “Since Reining became an FEI discipline in 2002, we have worked closely with the NRHA and the AQHA to grow the sport worldwide, and the expansion has been huge, with 115 Reining events last year compared to just five in 2002,” said Bettina de Rham, FEI Director Reining, Driving & Vaulting. In the agreement, which covers areas of common interest including horse welfare, FEI Rules and Regulations, FEI Clean Sport, Stewarding, education and FEI recognition; the FEI will have sole jurisdiction over Reining competitions for horses seven years and older, and the NRHA and AQHA will manage all competitions for horses younger than six years. However, an exception has been made where six-year-old horses will be eligible to compete in the 2014 Alltech FEI World Equestrian Games in Normandy. “FEI Reining will again be under the global spotlight this summer at the world’s biggest equestrian event, the 2014 Alltech FEI World Equestrian Games, in the heart of Normandy. Just one month before, the FEI European Reining Championships for Young Riders and Juniors will take place in Switzerland at the beginning of July. Our busy Reining event calendar is a true reflection of just how popular Reining has become amongst athletes of all ages, and we’re looking forward to continuing our work with the NRHA and the AQHA to foster growth of Reining worldwide,” said de Rham. The NRHA which is based in Oklahoma City (USA0) was formed in 1966 brings together over 19,000 members. The AQHA, which is the world’s largest equine breed registry and membership organization and is located in Amarillo, Texas (USA), was created in 1940. They first recognized Reining as a sport in 1949. “The FEI, NRHA, and AQHA, while separate and distinct organizations, have recognized as the major stakeholders in the Reining world that together they can foster the growth of our sport globally, and this agreement is a major milestone in the expansion of Reining,” said Bob Thompson, FEI Reining Committee Chairman. Both the NRHA and the AQHA are excited to have a partnership with the FEI and are looking for other new ways to grow the sport of Reining globally. “The NRHA is very excited to be moving forward with its relationship with the FEI, and to grow the sport of Reining worldwide,” said NRHA President Beth Himes. 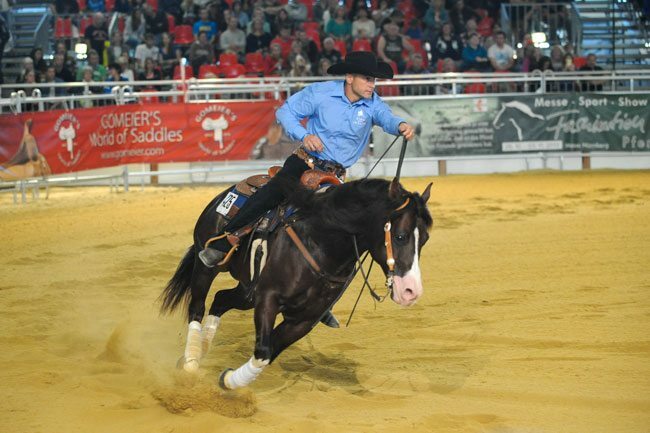 Smart Spook reached another milestone in his career by becoming the National Reining Horse Association’s (NRHA) 13th Two Million Dollar Sire. Helping him reach this milestone was Colonels Smart Spook, owned by Sally Amabile and shown by NRHA Professional and Million Dollar Rider Jordan Larson. 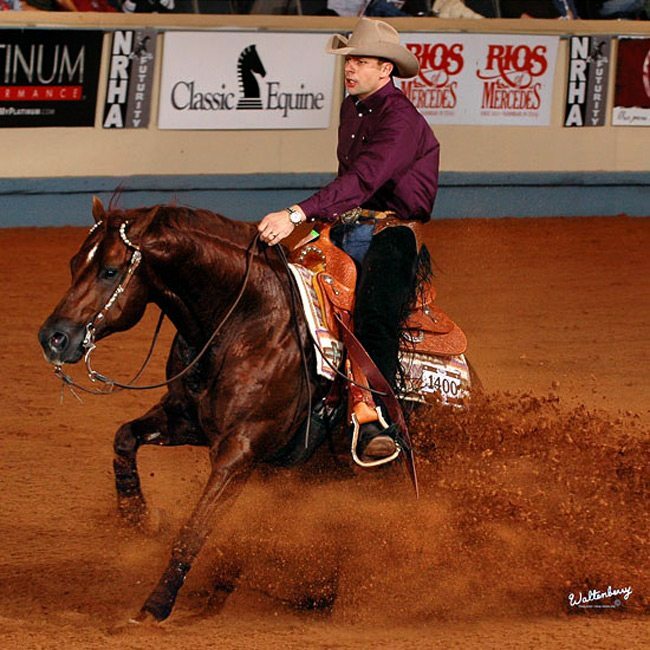 Colonels Smart Spook’s first place finish in the World Championship Shootout held during the NRHA Futurity helped push his sire, Smart Spook, over the two million dollar mark. 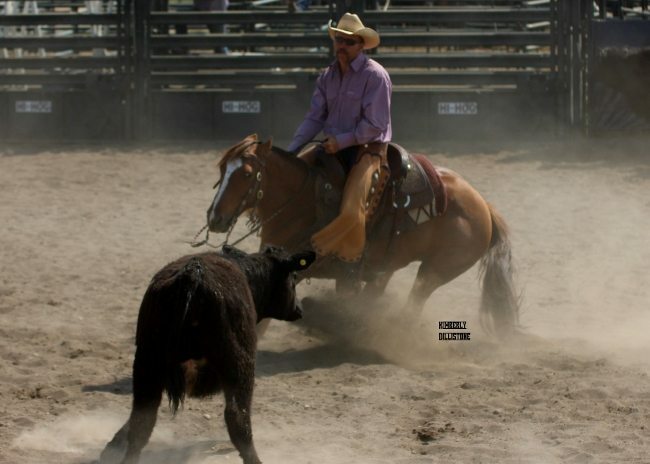 Jacs Lil Spook (out of Miss Whoa Jac): $94,700 NRHA LTE, owned by Ruben Pacheco Cuevas; 2010 NRHA Futurity L1 Open finalist, L2 Open finalist and L3 Open finalist; 2011 NRBC L1 Open Champion, L2 Open Champion, L3 Open Reserve Champion, and L4 finalist; 2011 NRHA Derby L1 Open finalist and L2 Open finalist. The second of two premier events hosted by the association annually, the Open/Amateur World Show is slated to take place November 6-17 at Will Rogers Memorial Center in Fort Worth. A Ranch Horse Pleasure Sweepstakes with $1,750 added offers followers of this popular new discipline an opportunity to shine on the World stage. The sweepstakes format means qualifying is not required for participation. Additionally, the Association is waiving the late fee for Ranch Horse Pleasure entrants for the introductory year. Part of the added money for the class is sponsored by Farnam, while the remainder comes from APHA. 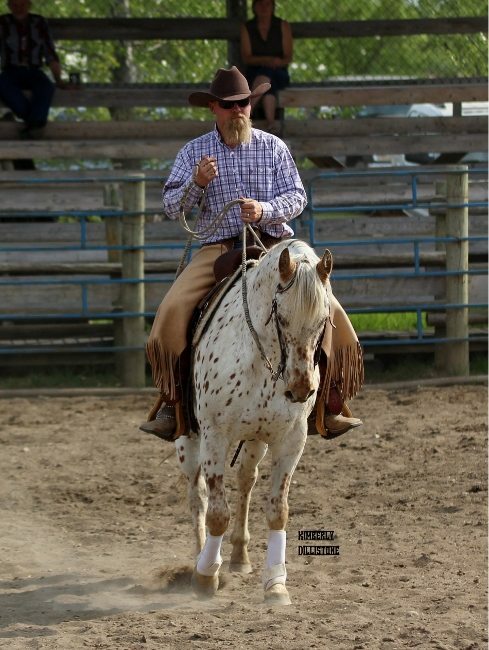 At this time, the Ranch Horse Pleasure Sweepstakes class is open only to Regular Registry Paint Horses. 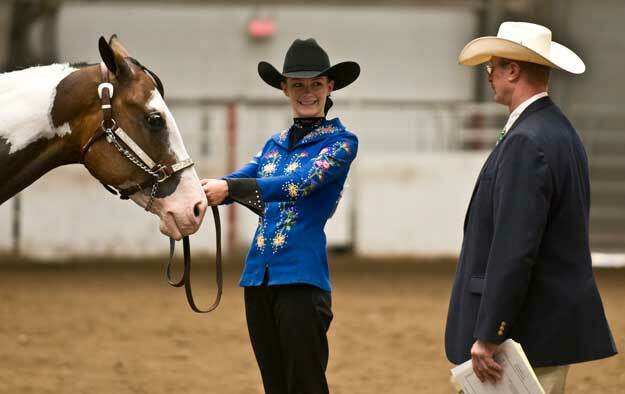 By the numbers, the 2013 APHA World Show has something for everyone—with 240 total classes. And while the majority of 168 World Championship classes require qualification in order to participate, 109 do not require qualification. Besides the classes in the arena, APHA has added other activities for exhibitors and spectators to get more enjoyment out of their time at the World Show. The pre-show Amateur Boot Camp will offer a full day’s worth of honing skills and polish for Amateur and Novice Amateur exhibitors who are interested in getting help from industry professionals. Held on November 5, Boot Camp will be followed immediately by APHA’s “Ride the Pattern” seminar. Ride the Pattern is a free opportunity for all exhibitors to hear from a World Show judge what the judges will be watching for—while the patterns are being demonstrated live. The Farnam Breeders’ Trust Sale festivities kick off November 9 with the Sale Preview Party. The following day, November 10, the Farnam Breeders’ Trust Sale Preview will begin at 5:30 pm and the Sale will begin at 6:30 pm. Two sessions will be held: the first for Breeders’ Trust horses of any age, or those in foal to a Breeders’ Trust stallion; the second for yearlings whose owners are making them eligible to compete in the 2014 Farnam Sale Stakes classes (with anticipated payout exceeding $50,000). Two free clinics are scheduled, which are open to World Show attendees and the community at large. On November 9, horse trainer and Chrome columnist Kalley Krickeburg will demonstrate her “pre-saddle training” methods in the Watt Arena. On November 10, dog trainer and Chrome columnist Hilton Butler will share techniques he uses successfully in his work. Shoppers will find a wide array of treasures and holiday gift items in the Colors of the Season Gift Show. Now with an expanded venue, the gift show will be open daily during the World Show from 9 am to 6 pm, with extended hours the weekend of November 8-11. Interested vendors may contact Shannon Rogers at 817-222-6433. Full details, tentative class schedule, premium books and class entry forms are available online at www.aphaworldshow.com. Pre-enter by the September 10 deadline for the best pricing, stall location and RV spaces. Entries are accepted until 5 p.m. the day prior to the class. It’s all about the trinkets! Talyn Kapfhamer, winner of the 3D at the ABRA Finals. 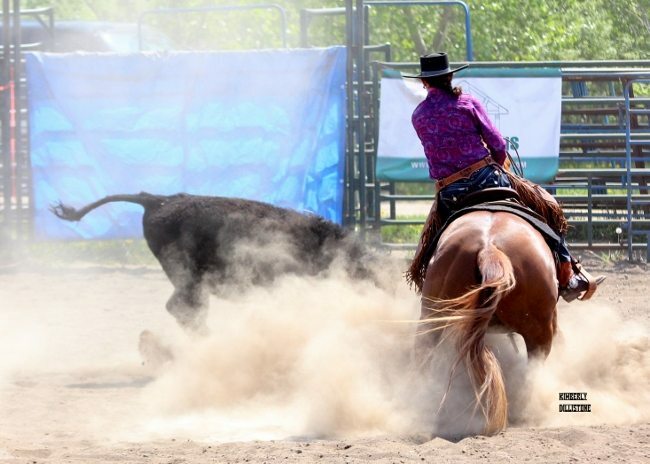 As the summer begins to wind down, there is one major barrel racing event to compete at – the Alberta Barrel Racing Association Finals. The Finals are held in Ponoka, at the newer Ag Events Center. Over the weekend, that arena hosted roughly 2,000 barrel runs over the course of four days. Thank you to all the sponsors who donated prizes. Truly appreciated by everyone! 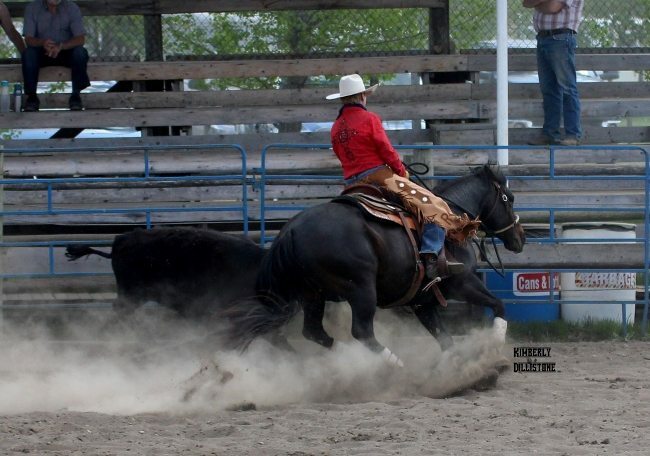 I must say, there are a ton of barrel racers in Alberta. I qualified on both of my two horses, my niece also qualified on a horse of mine. 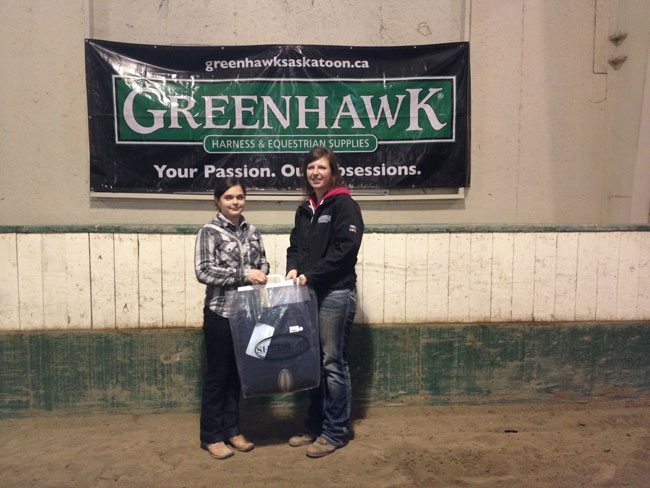 We headed up to Ponoka on Wednesday afternoon, as the Open Barrel Race started at 7:00 a.m. on Thursday morning. This event is definately one of the more organized, and well run events I have ever been to, and kudos to all of those that make it happen. Everybody gets two runs, and then based on either the average, or a fast time, qualification for the Short Go Sunday. I am highly impressed with the quality of horses we have here in Alberta, and I think we must all be proud for what we have. I ran both of my guys on Thursday, they ran great. Captain pulled off an outstanding 17.49, and Cat a 17.59, which both took us to the pay window. Day 2, they began with the youth, and my niece was up on my horse, Taco. Together they ran a beautiful pattern of 17.88 and hit the pay window as well. I saw another old horse of ours, who ran a 17.67 and looked amazing, and I am happy to see that the owners are doing great with him. Come Sunday, all four of our Stampede Ranch (TS) Horses had qualified for the Sunday Short Go, in the top end, and I can say I am very blessed and proud to be riding, and seeing our horses out there. 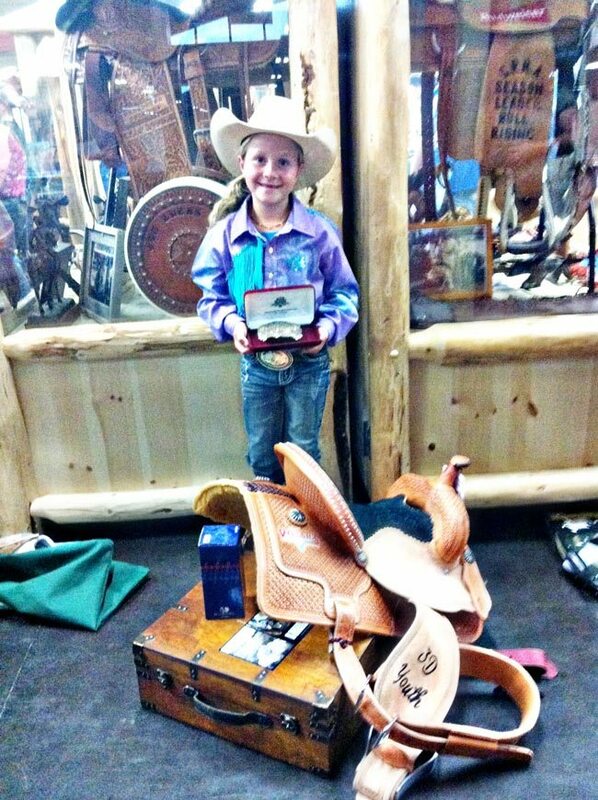 One of the winners was probably the most excited little girl I have ever seen. Her name is Talyn Kapfhamer, and she was the winner of the 3D. As she went up to receive her buckle, saddle and all her little trinkets she had won, she was no bigger than the saddle she had won. I had to get her picture! I absolutley love seeing that kind of excitement from a winner. And she will continue to win, because she appreciates it. Good work Talyn! On the Saturday, I had a bit of down time, so I thought I would get my horses out of the pen for a walk. Earlier that day someone had told me about the river being nearby. I thought, well, it is 30°C out here, and I know they would love to go cool down and splash around in the water. So I am rode Captain, and ponyed Taco and Cat. We spotted the river, and the one kilometer road parallel to a set of train tracks, which we needed to travel down to reach it. The train sounded fairly far off still. I got my horses turned around, and we are heading up out of the water, and suddenly it appeared, coming at us head on, loud, and directly over top of us. Cat leapt backwards, jerking me his way, but I didn’t let go. He pulled again, I tried my hardest to hang on, but lost the rope. There was a moment of stillness, my heart dropped. He stood staring at the overhead thundering train for a second or two, and then the fear and flight set in, and he bolted, up out of the water, and into the trees. Meanwhile, Taco in my left hand, pulled back, and almost jerked me out the other side of my saddle. Captain was doing everything he could to stay calm and upright what with getting pulled all over the place. Through the rope burn, blood and mud, I managed to hang onto Taco. I knew I couldn’t let two go. I rode up to a flat spot, the train continued on, and in my mind, I feared the horrific things that could happen. And, ….he came back. From out of the trees, I saw this scared little horse running up to us. He came to me, put his head almost in my lap in the saddle, and let me grab his halter. We were all safe. I rode back to the trailer, shaken, and sick over what we had just experienced. It makes a tipped barrel, or anything negative look like nothing at all. Things like that are always a reality check. We must all count our blessings, daily. And give our horses the credit they deserve for knowing who they love and trust.